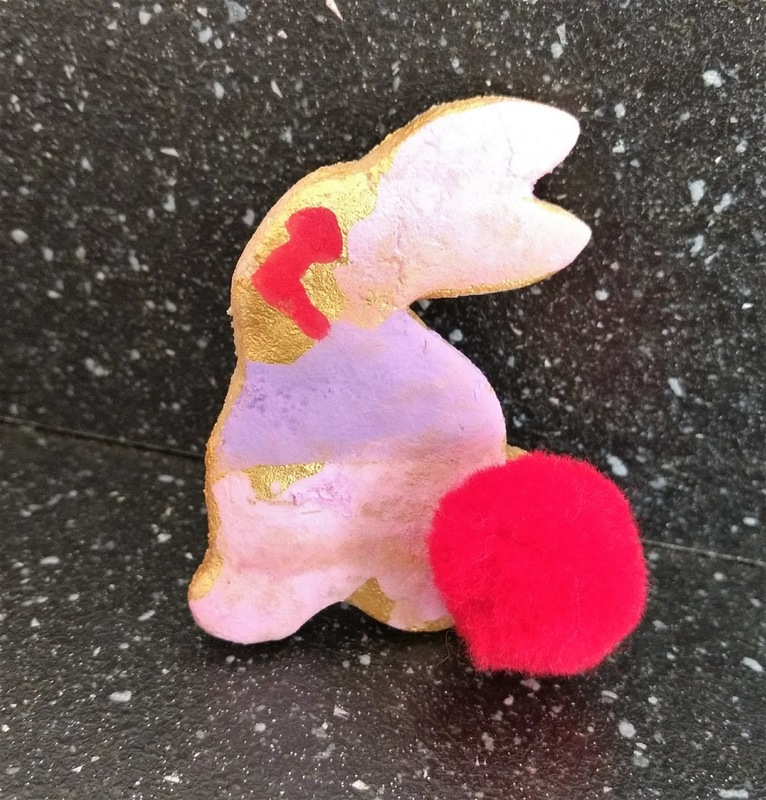 We made and baked 25 salt dough bunnies last week ready for Toddler group this morning. 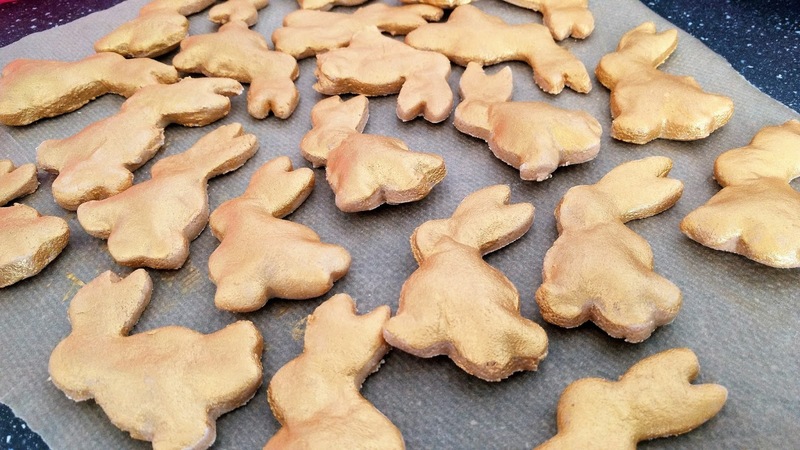 I painted them with gold acrylic paint to seal them for decoration by the little ones. Jess painted this one as a trial. I'm sure she's not supposed to be quite as sinister as she looks! There were a great deal of bunnies painted red this morning for some reason. 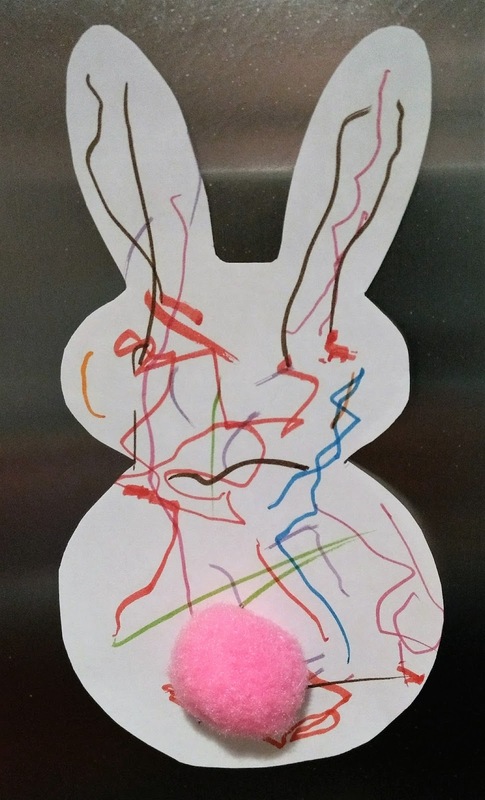 We also decorated paper bunnies this morning and attached magnetic tape to the back of them. Jessica's thrilled to be able to attach it to the radiators and such. A built-in fridge may be aesthetically pleasing but we're definitely missing out on the wonderful world of magnets!